An example of how fresh bourbon barrel maturation can bring out some great flavours in a malt whisky. 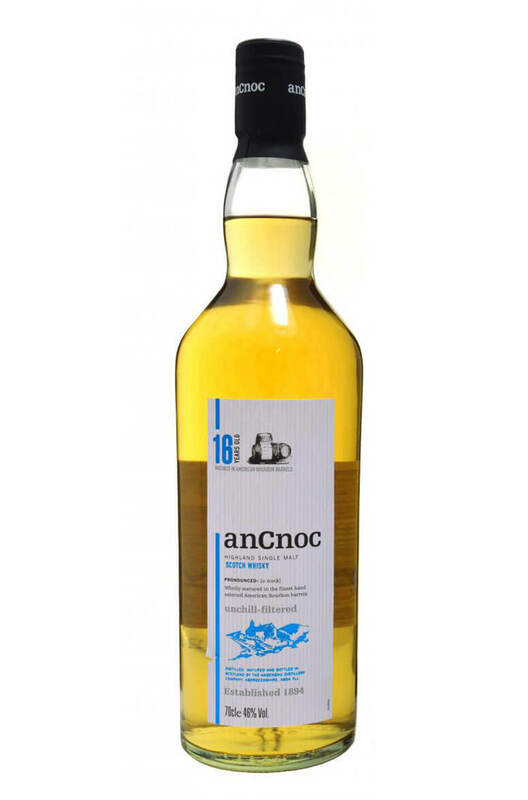 This 16 year old has a fresh and fruity start with some noce honey and barley notes and just the faintest touch of smoke. Distillery Knockdhu (Bottlings are named AnCnoc to avoid confusion with Knockando distillery). Types of Barrel used for Aging Predominantly first fill Bourbon casks.